Before a series of richly designed new textiles is installed in one of the most iconic, oldest and continually active synagogues in Europe, it will be unveiled Yeshiva University Museum (YU Museum) in the exhibition Old and the New: Mark Podwal’s Textiles for the Altneuschul in Prague from November 20, 2011–January 15, 2012. 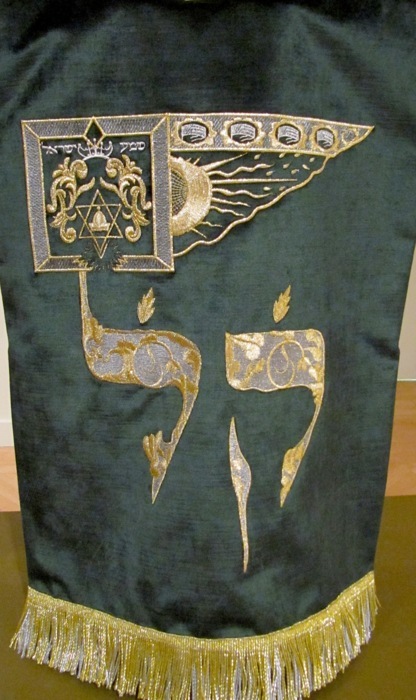 The textiles, which include a Torah ark cover, three Torah mantles and covers for the Torah reading and cantor's desks represent the first major commission for the sanctuary of Prague’s Altneuschul in over 70 years. Built in 1270, the Altneuschul, or “Old-New Synagogue,” is celebrated for its architectural beauty and legendary provenance–myth has it its stones were brought by angels. It is one of the few Gothic synagogues in existence and sits at the center of Prague’s Jewish Quarter, a vibrant community famed for its scholars, mystics, writers and intellectuals. Perhaps the most famous of the synagogue’s legends is the Prague Golem, believed to lie dormant in the attic of the building to be restored again, if needed, to defend the Jews. 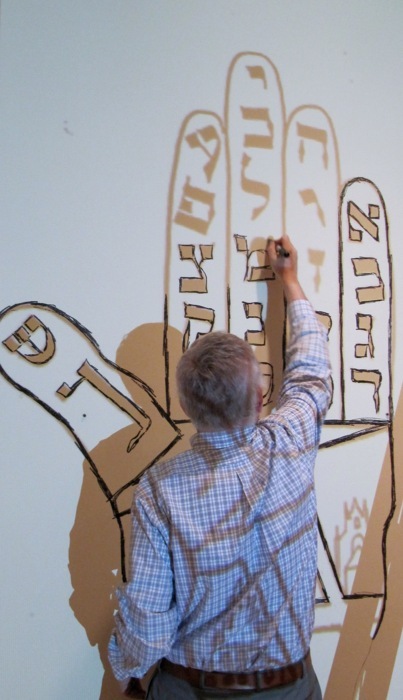 Mark Podwal, an internationally recognized New York-based artist, author and physician, haslong been engaged with Prague and its famed Jewish Quarter. The textiles are the latest and mostambitious of his works relating to Prague’s Jewish Community. Complementing the textiles in the exhibition is a detailed historic model of the Altneuschul (part of YU Museum’s permanent collection), a selection of complimentary graphic work by the artist, and a short original film that charts Podwal’s artistic engagement with Prague and features a behind-the-scenes look at the textiles’ creation. In collaboration with renowned New York textile designers Penn & Fletcher, Podwal used modern technology to create vignettes of the centuries-old Jewish Community. 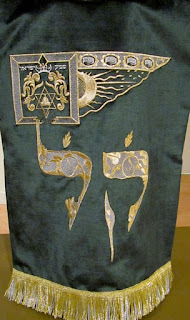 The six embroidered velvet pieces, which will be shipped for their dedication at the synagogue in March of 2012, are presented in the exhibition as they will appear in the Altneuschul sanctuary. Old and the New: Mark Podwal’s Textiles for the Altneuschul in Prague is presented by Yeshiva University Museum in conjunction with the Consulate General of the Czech Republic in New York. Public program featuring the artist on the historic, religious and cultural context of the Altneuschul and the Prague Jewish Community. Curator’s tours in the exhibition gallery. p.m. (FREE 5–8 p.m.); Friday: 11 a.m.–2:30 p.m. (FREE). Administration and Students: Free with valid ID. For further information on Old and the New or to download images, visit yumuseum.tumblr.com/OldandNew. 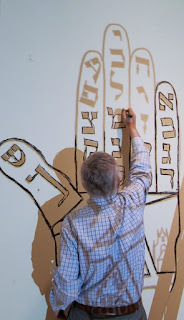 To request a tour or interview with the curator or artist, contact Valerie Peters at vlpcommunications@gmail.com or 917.328.6787.
emphasizes teaching schoolchildren and adults of diverse backgrounds about Jewish culture through many varieties of interdisciplinary programs. Located at the Center for Jewish History, the Museum occupies four spacious galleries, a children's workshop center, and an outdoor sculpture garden.